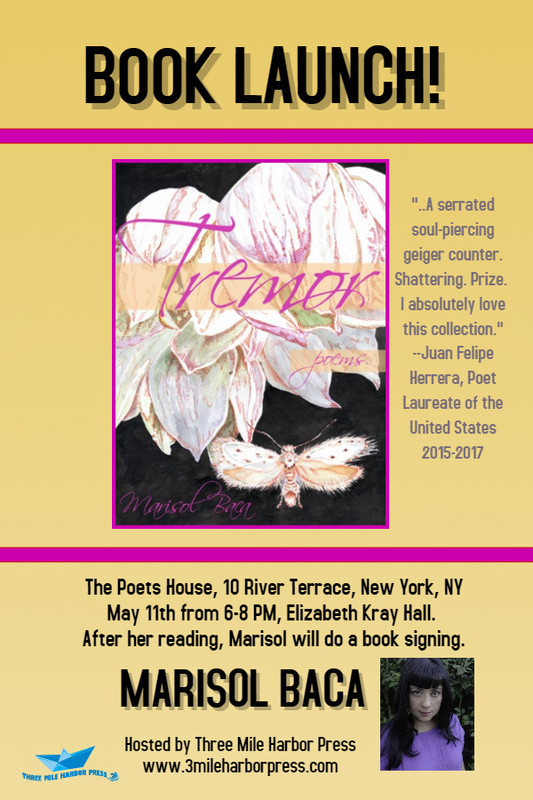 We are pleased to announce that Marisol Baca’s East Coast book launch for Tremor will take place at The Poets House, 10 River Terrace, New York, NY, 10282, on May 11th from 6-8 PM in Elizabeth Kray Hall. At the end of the reading, Marisol will do a book signing. Please come to hear this wonderful poet read!